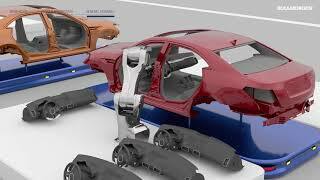 Application that automated the trolley handling in the manufacturing plant. 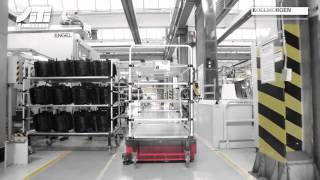 The AGV system is based on Kollmorgen's AGV control products. 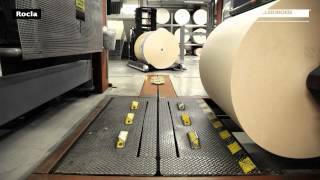 Application that automated the transportation of paper rolls in the printing plant. The lift trucks were automated with technology from Kollmorgen. 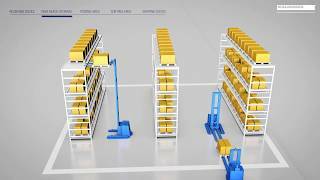 Application that minimizes operational costs in a highly automated warehouse. 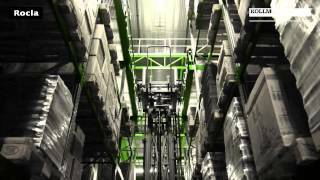 In the very narrow aisle racking area, automated warehouse trucks handle the pallets. 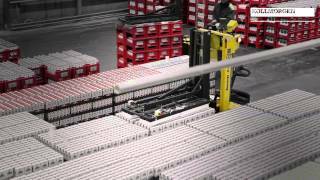 The warehouse trucks were automated with technology from Kollmorgen. Application that automated the transportation of dairy goods from the prodution area to chilled storage. 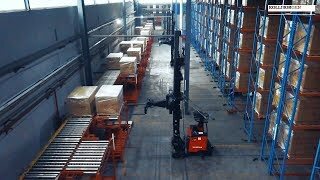 The forklifts were automated with technology from Kollmorgen.